String, a dance and object theatre show for children ages 2-6, returns to Beacon Hill on December 27 and 30, with daytime performances at the Garden House (2336 15th Ave. S.). Showtimes will be 11 a.m. and 2 p.m. on Thursday, December 27, and 2 p.m. on Sunday, December 30. The 35-minute show will be followed by a Q&A session with performer Mary Margaret Moore. All ages are welcome to attend. “Every time that we witness 40 children focusing on the noise of a paper bag, we are deeply touched. Their deep concentration is truly magical. Seats are limited; tickets are available through Brown Paper Tickets. Previous PostMerry Christmas from the Beacon Hill Blog.Next PostHave you seen Delilah? 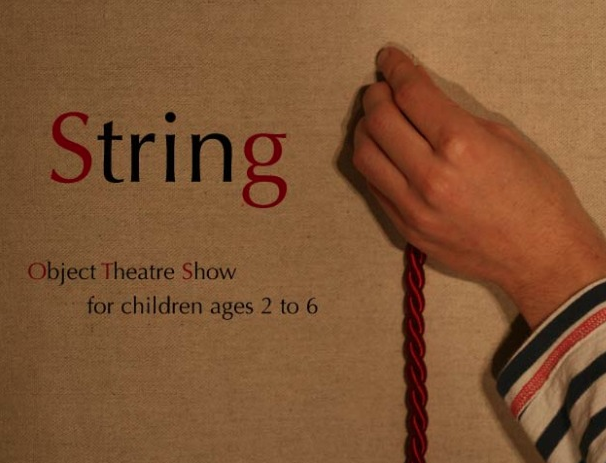 If you are the parent or grandparent of small children and you enjoy whimsy that reminded me of the best of French mime and the silliness of Charlie Chaplin, grab your kids and go see “String” this Sunday! Thanks to all the families who came to Garden House yesterday for “String”! Especially Bob Zappone & family. Thanks, Bob, for the lovely post on Beacon Blog! One more performance Sunday at 2pm! http://beaconhill.seattle.wa.us/2012/12/25/string-returns-to-the-garden-house/#comments — at The Garden House.